Currently viewing the tag: "Isotope 217"
"Have you ever wondered what happens to the music nobody listens to? It implodes. It does not even make any noise. It simply withers unnoticed, forgotten, unwanted. Then there is the music that stays: that particular strain of artistic endeavor that appeals to the masses and (sometimes) the niches and that we are taught not to live without. 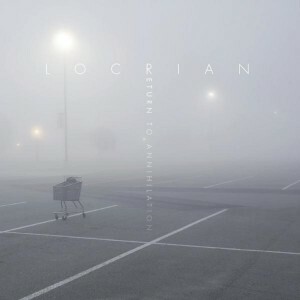 Locrian are the natural evolution (some may say ‘consequence’) of the Chicago scene of the late 90s where acts like Tortoise, Isotope 217, and Gastr Del Sol flourished and kept the territory safe from the dying throes of grunge." Alex thinks this album shouldn't be left to implode into a black hole of apathy. In fact, he seems quite taken with this experimental fusion of drone, blackness and the kitchen sink.